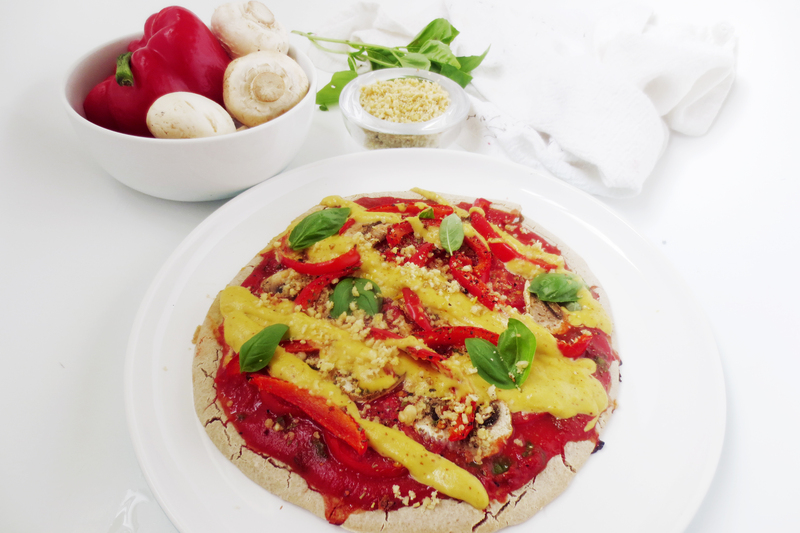 Vegan 2 Cheese Supreme Pizza AND Beetroot pizza FT. The Green Bowl – Made Whole co.
Italian food can be summed up with 1 word: CHEESY. 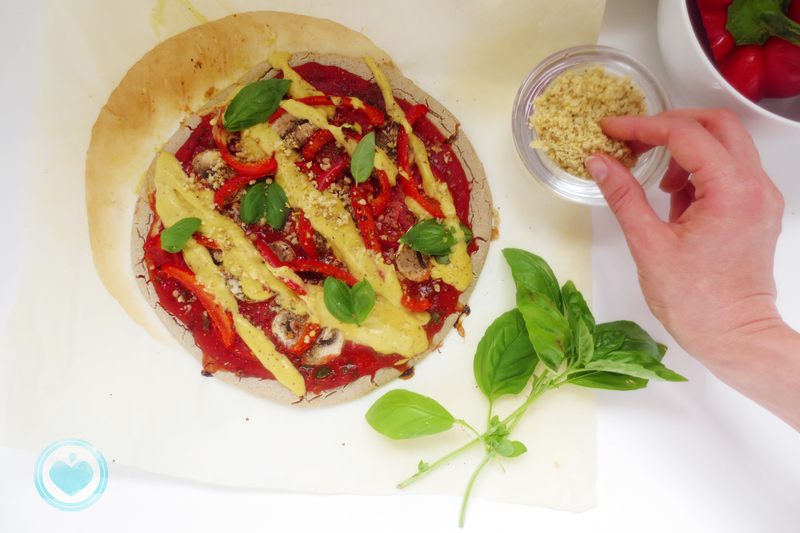 Well, you can still be vegan and enjoy a good cheesy pizza without the added bad fat, bad digestion, gas, weight gain etc.This recipe has TWO kinds of vegan cheese; a pinenut parmesan and an extremely cheese cashew and nutritional yeast sauce. Get in my belly!!!!! It also uses a buckwheat base, which is an amazing gluten free alternative to a wheat base. Buckwheat is actually a seed that is a lot like a grain when cooked and baked. 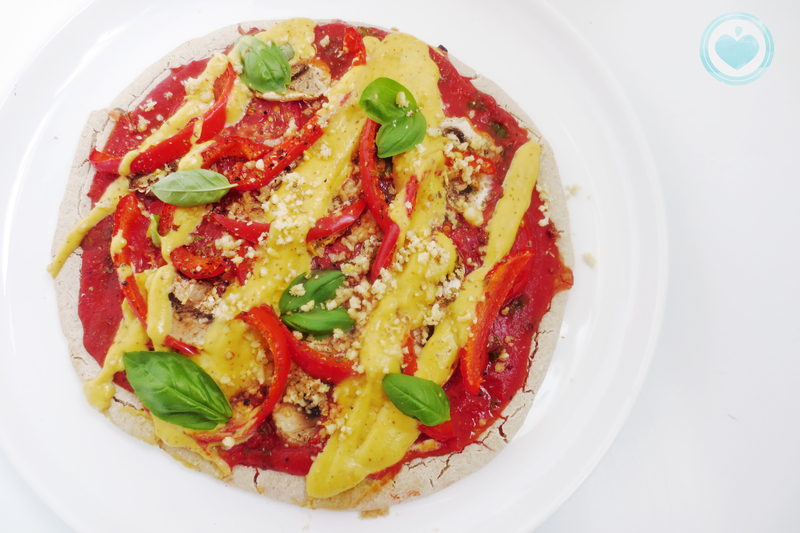 It’s high in protein and makes a super quick and delicious pizza base! 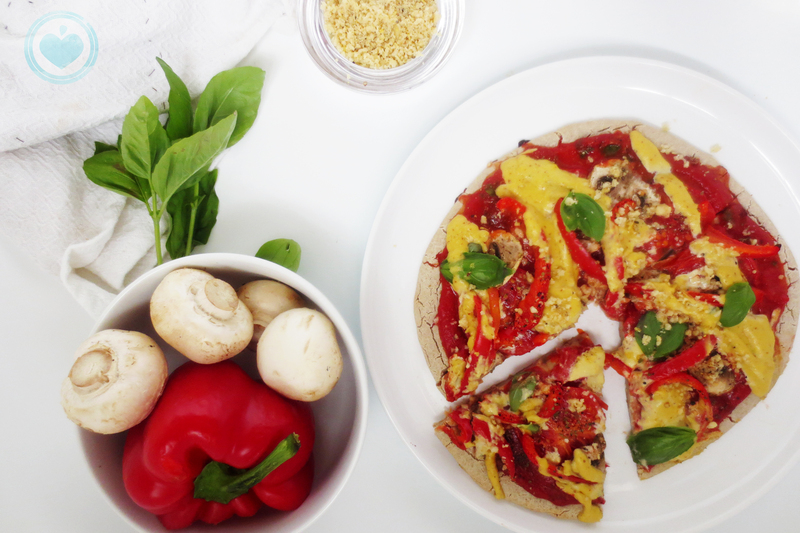 Click to visit “THE GREEN BOWL” blog for this garden pizza recipe! This recipe is a collaboration with Lisa from The Green Bowl (or @thegreenbowl on instagram) who is so talented and has such creative recipes on her blog with flavours and ingredients you would never think to combine but that work so well. She also writes out all her recipes in English AND Deutsch! I love that she is so passionate about what she does that she goes the extra mile to do that! 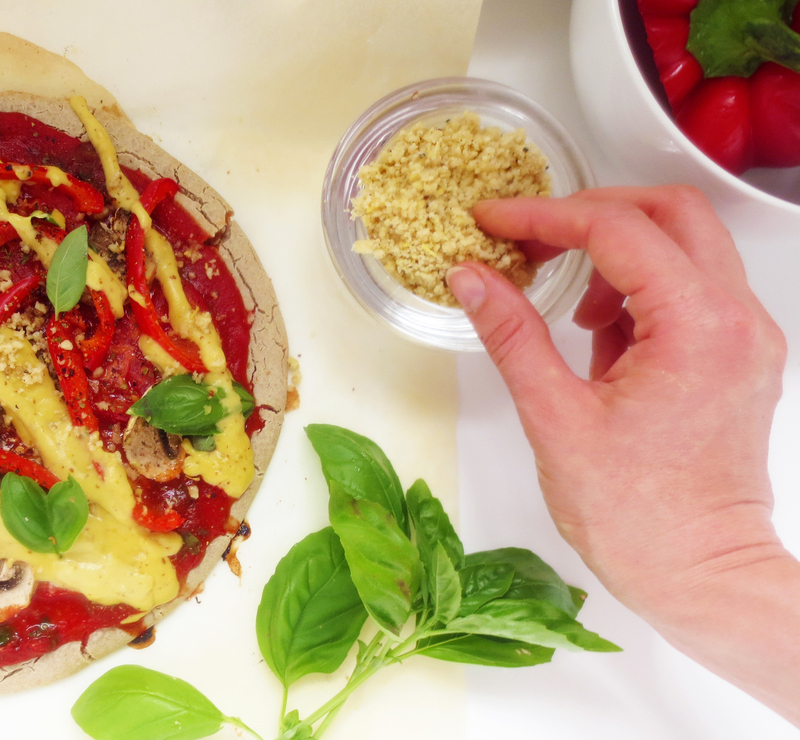 The pizza she created is a garden pizza inspired by the Middle European agriculture she lives in. It looks so beautiful and I CAN NOT wait to try that beetroot sauce! Go check it out and comment telling her that you can from Made Whole and that we all LOVE her! Pour the buckwheat mixture onto the center of a baking tray lined with non-stick baking paper. Use the back of a spoon to spread the mixture into a circle. You can control the thickness and shape of your pizza base at this point. You can make it thick by spreading it less or thin by spreading it more. Make it a traditional round base or form it into a square or even heart shape using the spoon. Place in oven for 15-20 minutes to bake until a few crack start to form on the surface and it’s not too soft. IMPORTANT: Remove from oven and peel the baking paper away from you pizza base BEFORE you add your pizza toppings. You might find this easiest if you place it face down on a plate so the baking paper is on top and slowly peel the paper away. Sprinkle the Pinenut Paremesan Cheese onto your pizza and ENJOY! Place all ingredients in a small Nutribullet cup (or stick blender or another small blender unit) and blend until combined and smooth. You may have to stop and stir a few times to make sure everything is combining evenly. Place all ingredients in a small Nutribullet cup and pulse for 1 second. Unscrew the lid and stir and then pulse for another 1 second. You do NOT want to blend too much otherwise it will combine too much. You want it to stay beautiful and crumbly like parmesan cheese. Original recipe by Made Whole co.